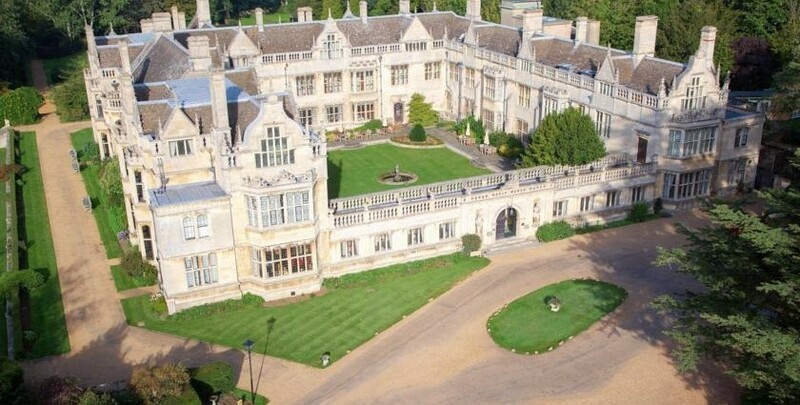 Northamptonshire is renowned for its historic houses and exquisite estates. To help you prepare for your luxurious escape into grandeur and royalty, indulge yourself by relaxing in the finest Hotel Northamptonshire has to offer. Here is our guide to the finest Stately Homes easily explorable from our Kettering Hotel. When Sir William Tresham bought the village of Rushton St. Peter in 1438 he began to build here, his grand family home, Rushton Hall. Now, this magnificent Grade I Listed Hotel provides guests with luxury stays in the beautiful bordering counties of Northamptonshire and Leicestershire. With its Three Rosette Restaurant and Spa, Rushton Hall is a haven of relaxation and perfect position to sample the sensationally historic surroundings. Built by the Spencers in 1508, the family has called Althorp House home for 20 generations. Located in beautiful surroundings, it houses fine art collections and an exhibition commemorating the Life of Diana, Princess of Wales. Situated 5 miles west of Northampton, it is an easy reach from Junction 16 of the M1. Pre-booking is essential. Discover one of Britain’s grandest stately homes. Perfectly preserved since 1528, Boughton House is home to the Duke of Buccleuch and his Montagu ancestors and boasts scene after scene of carefully restored historic landscapes. Enjoy avenues of ancient trees, 18th-century gardens, serene lakes, woodlands and a grand country park is the perfect place to spend an evening walk. One of Northamptonshire’s oldest and most romantic stately homes. Beautifully set in parkland, explore the gardens and medieval church, then relax at The Old Brewhouse tearoom. Now owned by the National Trust, Canons Ashby House is just 14 miles from Northampton. Cottesbrooke is a glorious Queen Anne house dating from 1702. Hosting a royal 300-year-old cedar and picturesque lily-ponds. A short stroll across the parks and statue walks will lead you to The Wild Garden, an undulating Acer glade encompassing meandering streams. Embedded in the rural countryside of East Northamptonshire, this Tudor and Georgian mansion was once home to the 7th Earl of Cardigan. The Brudenell family acquired the home in 1514 and now holds large parks, beautiful gardens with a lake and tearoom. This enchanting part-Gothic historic house is a real gem and is nestled in the Northamptonshire/Cambridgeshire border. Elton Hall stands proudly on the unspoilt landscape that surrounds its 12th-century foundations. Here you can enjoy garden shows, craft and antique fairs throughout the year. Once the largest house in Elizabethan England, the area provides a magnificent backdrop to the living history that thrives here. Holdenby House has beautiful gardens and a myriad of attractions from falconry shows and train rides to a 17th century farmstead. The grounds are clearly signposted and are only 6 miles northwest of Northampton. Kelmarsh Hall is a graceful early 18th Century Palladian style house, set in romantic gardens and rolling parkland which are frequently roamed by the resident herd of British White cattle. The house includes an intricately detailed, hand painted Chinese room, and of course has an abundance of interesting gardens and wonderful woodland walks. Lyveden New Bield is a beautiful shell of an Elizabethan lodge, surrounded by a moated pleasure-garden. The build was begun by Tresham in the 16th century but was never meant to be his main house, but a secret summer house to escape to. Golden sunsets mirror the water-side willows and religious designs of the skeletal facades into the moat, making this eerily extravagant structure a must see for any amateur photographer. Situated in the beautiful rural village of Sulgrave stands Sulgrave Manor. This magnificent monument is the English ancestral home of George Washington, the first president of the United States. Discover how Civil War, financial ruin, and a shipwreck all led to Washington’s great grandfather seeking a fresh start in the New World. From old worlds to new. We hope that our guide to the area’s finest stately homes will help you plan some memorable excursions from our magnificent grade 1 listed hotel near northamptonshire. If you’re looking for somewhere to stay, please don’t hesitate to check availability at our perfectly situated luxury four-star Kettering hotel and spa. Book direct here for our best rate guaranteed or for more information about accessibility and rates, please give us a call on 01536 713001, or email enquiries@rushtonhall.com.